[dropcap]H[/dropcap]alifax is one of those cities that allow you to enjoy the best of both worlds. Its a perfect blend of sophisticated city life with the Atlantic small-town charm. I visited Halifax for the third time a couple of weeks ago and had the such a great time. My previous visits were for educational or business purposes but this was the first time I actually got to explore this beautiful city. I was quite surprised as I had underestimated what the city had to offer. 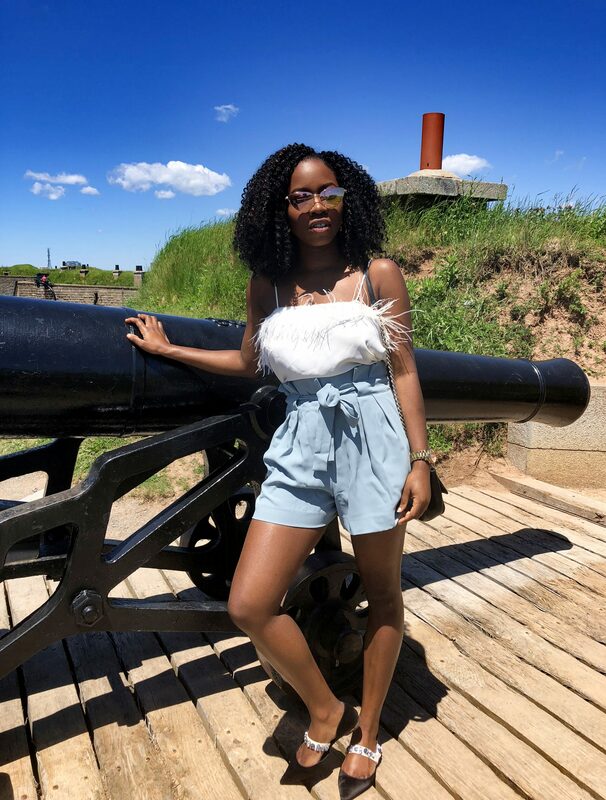 If you are visiting Canada, I definitely recommend a visit to Halifax, Nova Scotia and here is the perfect guide if you only have a day or two. Citadel Hill is one of the most prominent tourist attractions in Halifax. This hill close to the downtown core of the city houses what is known as Fort George, it was built in the 1700s to house soldiers and defend the town from enemies. 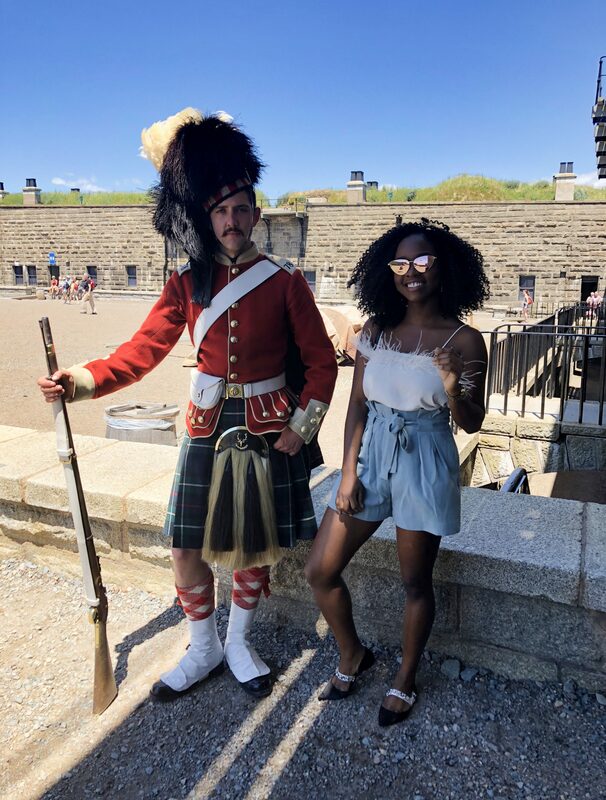 For a fee, you get a day pass to explore this star-shaped fort and get transported to the 18th Century with the sound of bagpipes in the air, soldiers in authentic uniform, an hourly change of guard and rifle shots. You can spend anywhere from an hour to three here depending on how much of a history buff you are. There is also an army museum, cafe, and an hourly-run guided tour. 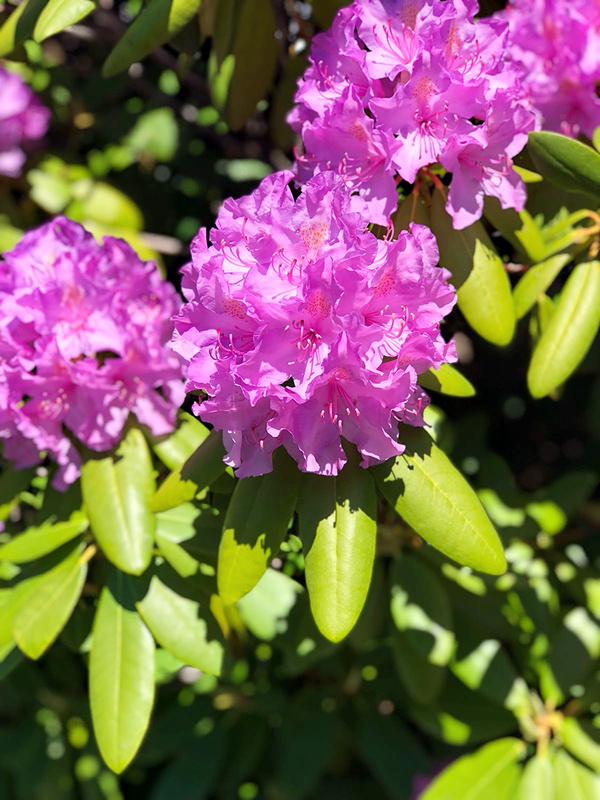 The Halifax Public Gardens is a short 5-10 min walk from Citadel Hill. 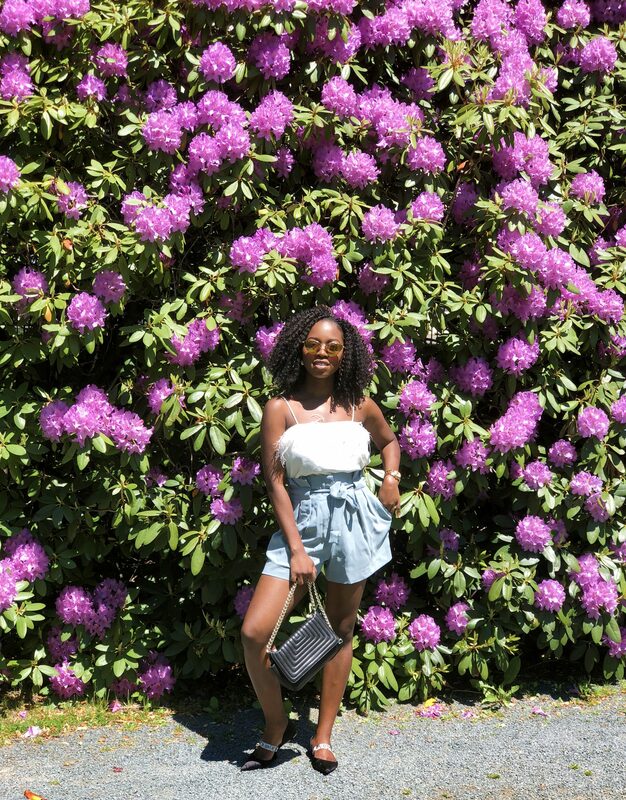 It is a beautiful Victorian-inspired garden and makes for the perfect spot for pretty pictures. 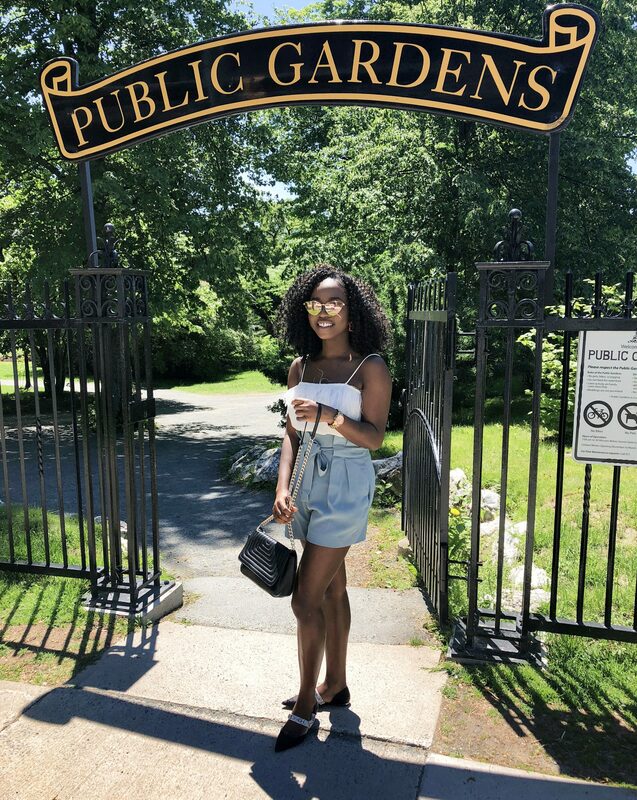 The public garden has a very serene atmosphere and is filled with gorgeous flowers, ponds, fountains and stone bridges. Average time spent here would be 30 mins to an hour. Bicycle Thief is one of the most popular restaurants in Halifax, and for good reason. 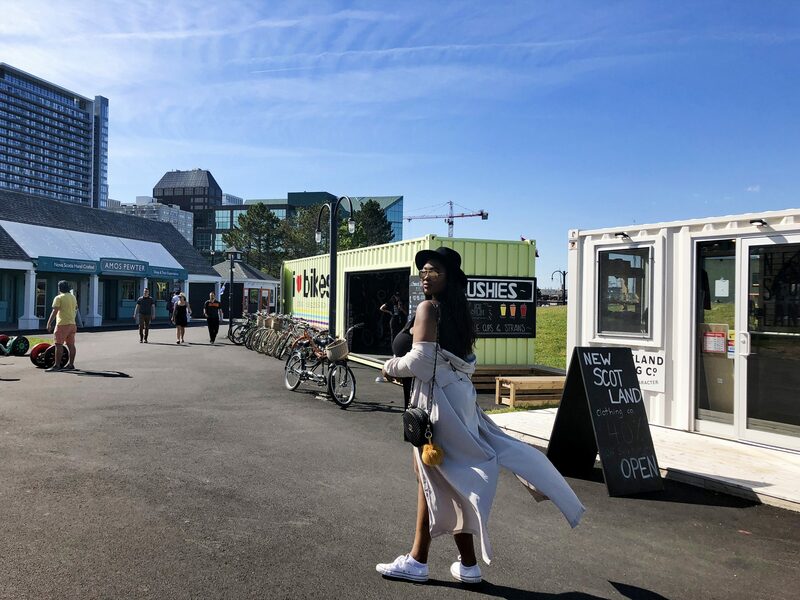 It is located right on the waterfront with a beautiful outdoor patio complete with flowers and street jazz music making you feel like you’re somewhere in Europe. Besides the beautiful ambiance, the restaurant also offers amazing food and stellar service. 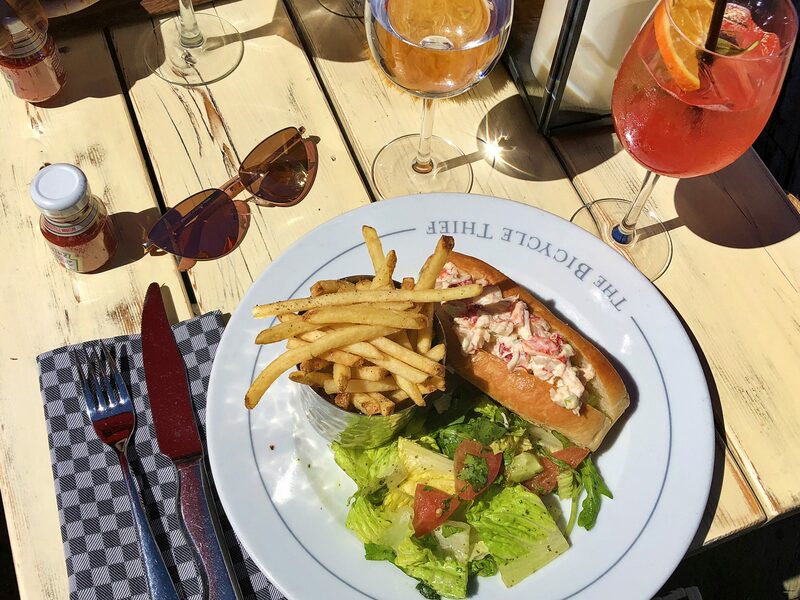 Be sure to try the lobster roll (yum!) because have you really visited the Maritimes if you haven’t had a lobster roll? 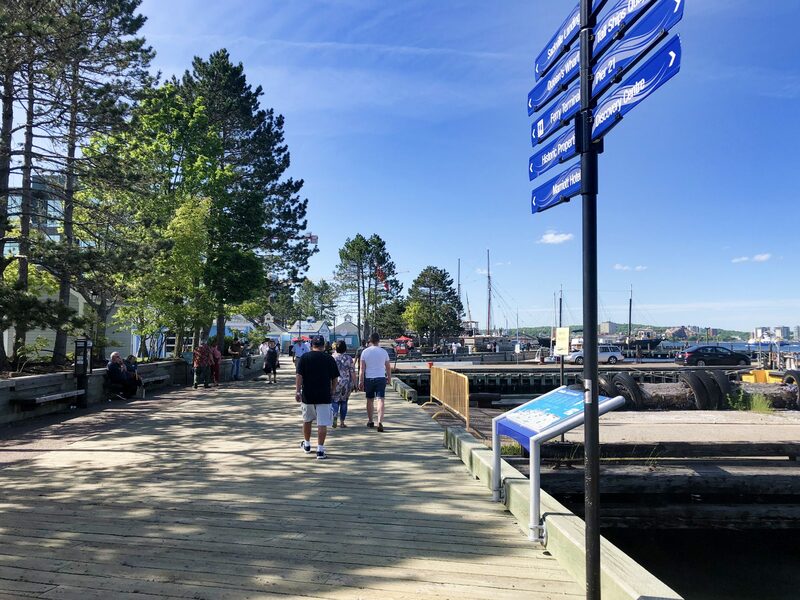 Fun fact: The Halifax waterfront boardwalk is the longest continuous boardwalk in North America! You could probably spend a whole day perusing the gorgeous waterfront. At the very ends lie the Halifax Farmers Market, Pier 21 (Canadian Museum of Immigration) and the Casino Nova Scotia on the northernmost point; with lots of food stalls, restaurants, and delicious ice cream shops in between. 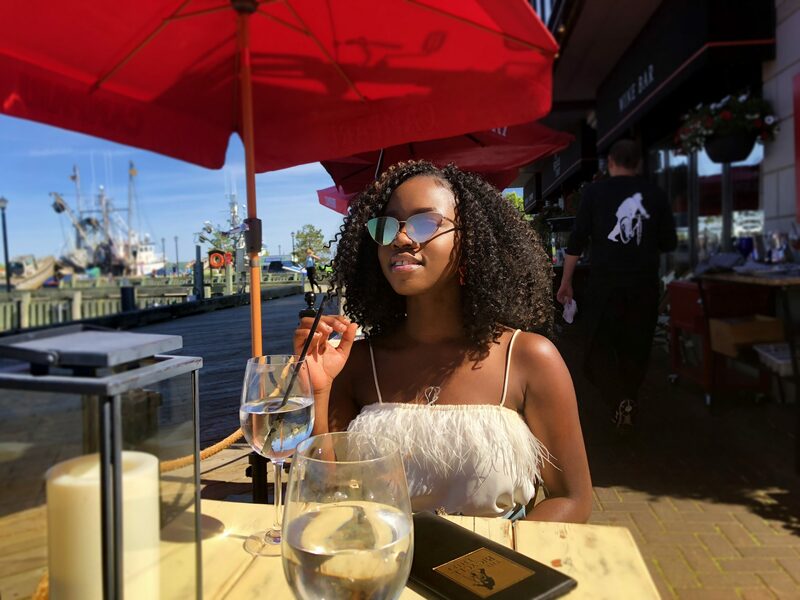 While on the Harbourfront, you can sign up to go on a city tour. 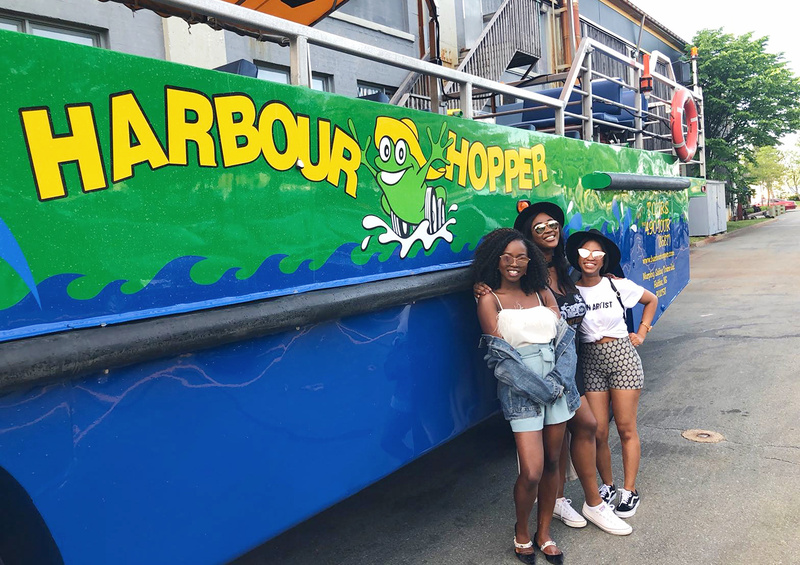 The Harbour Hopper tour is a really cool way to see the city. 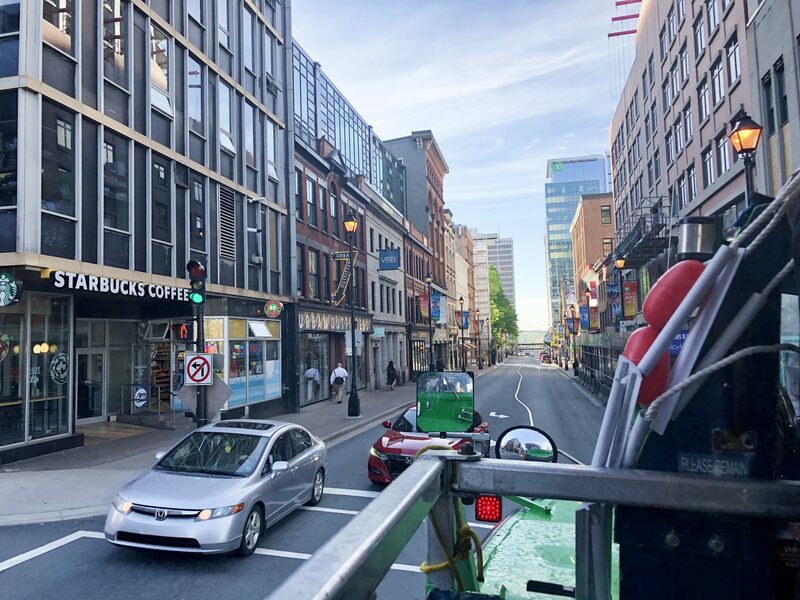 You get transported around for an hour in an amphibious vehicle with the first half hour spent driving through the city and the last half hour spent viewing the city from the water. It’s about $45CAD for an adult ticket but you get the experience of a city tour and a mini cruise for the price of one! 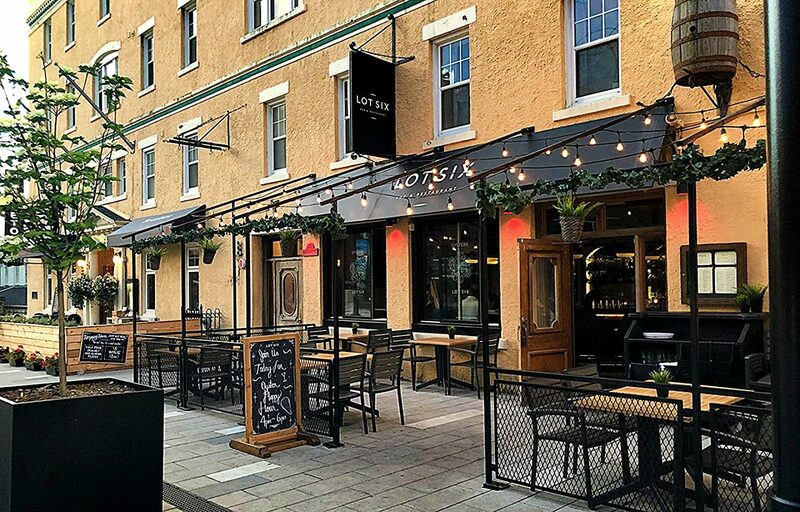 End the day with dinner and drinks on Argyle St.
To round off a fun day, take a five-minute walk from the harbourfront to Argyle street to experience the vibrant nightlife. There are tons of cool pubs and restaurants to choose from with al fresco dining options. Lot Six is a great choice for exquisite drinks and a gorgeous ambiance. Other Things to do in Halifax. Peggy’s Cove. A little out of the way but definitely worth a visit to see the historic lighthouse in the fishing village of Peggy’s Cove. Spring Garden Road. A major cultural district and a great spot for shopping to your heart’s content. Point Pleasant Park. A beautiful park to go on a hike or have a picnic with sweeping ocean views.